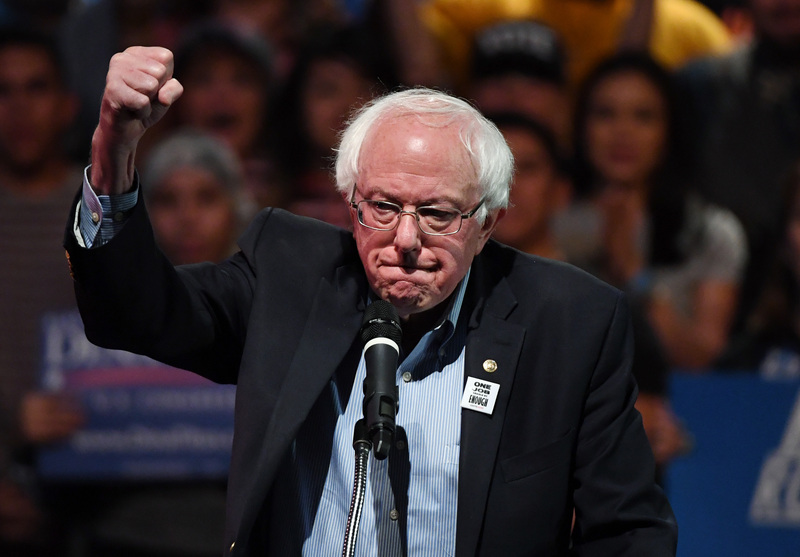 Independent Sen. Bernie Sanders heated up his rhetoric against President Donald Trump on Wednesday while speaking at the National Action Network’s annual legislative and policy conference in Washington, D.C.
“We must be honest and straightforward and say that we have a president who is a racist, a president who is a sexist, a president who is a homophobe, a president who is a xenophobe and a president who is a religious bigot,” Sanders told the crowd, according to The Hill. The National Action Network is a nonprofit organization founded by Rev. Al Sharpton. The group refers to itself as a “civil rights organization” and has been credited with drawing national attention to issues such as police brutality and racial profiling. Sanders did not provide any examples of Trump’s alleged bigotry nor did he refer to any bigoted quotes or policies. He did, however, have a message for the president.